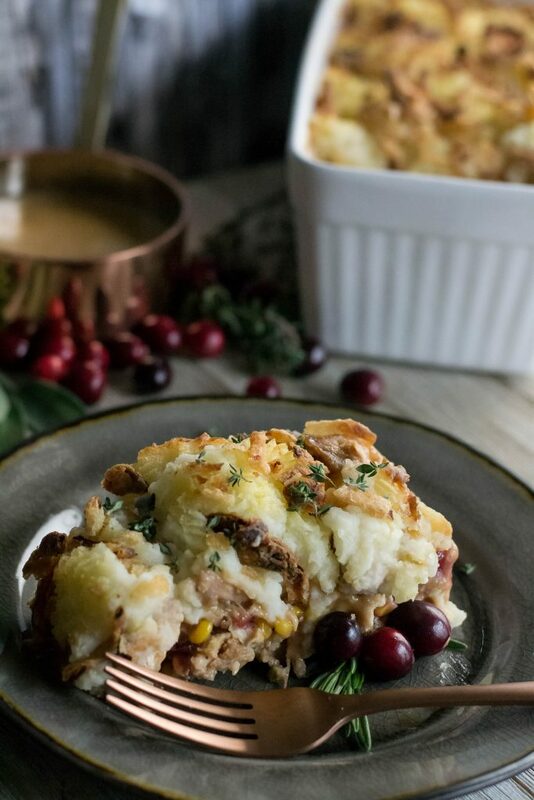 stuffing Archives - What the Forks for Dinner? What the Forks for Dinner? Recipes and ideas so you never have to ask what the forks for dinner! Turkey day is over, and you are exhausted from all that Black Friday shopping. What to cook?? OK, what to do with all those leftovers? Leftover Turkey Shepards Loaf to the rescue. Having leftovers is admittedly the best part of any holiday, but Thanksgiving in particular. Traditional turkey day fare goes together. 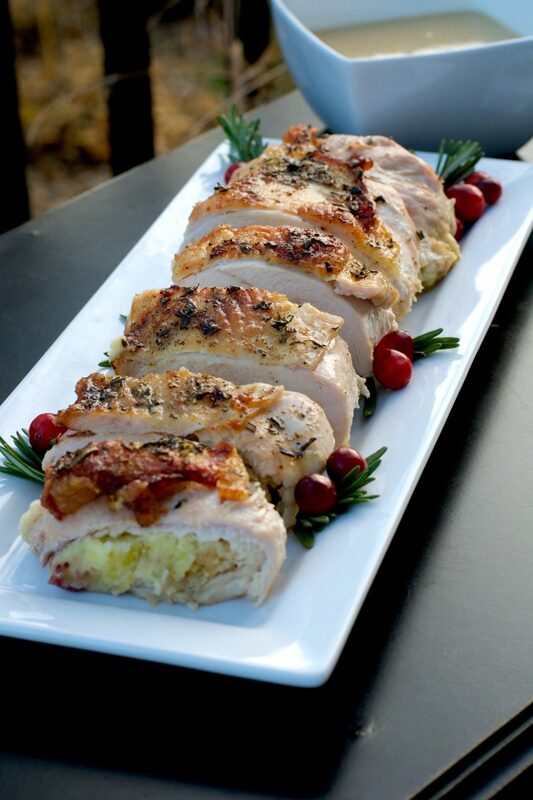 Stuffing, cranberry sauce, mashed potatoes and gravy, and of course the star of the show….turkey! Throw in a veggie or two and day two of the turkey coma! 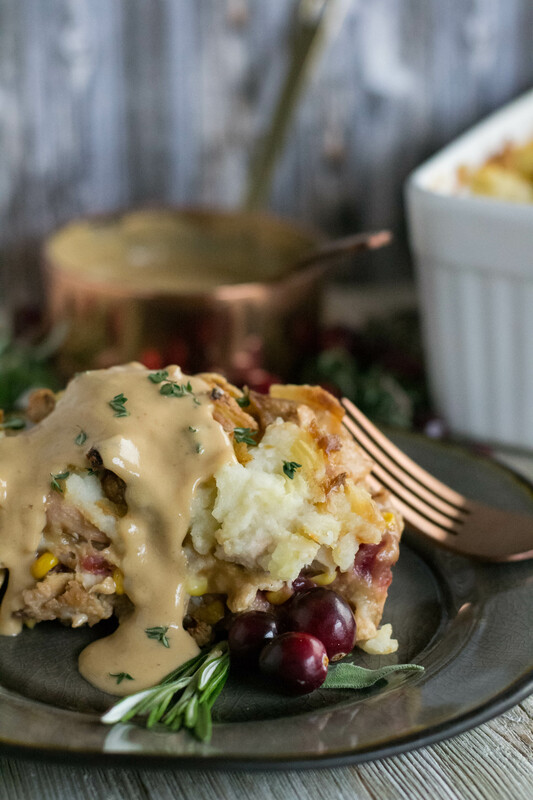 Leftover Turkey Shepards Loaf combines all of the leftovers in one dish that’s easy to prepare and easy to serve. Layer after layer of Thanksgiving leftovers. 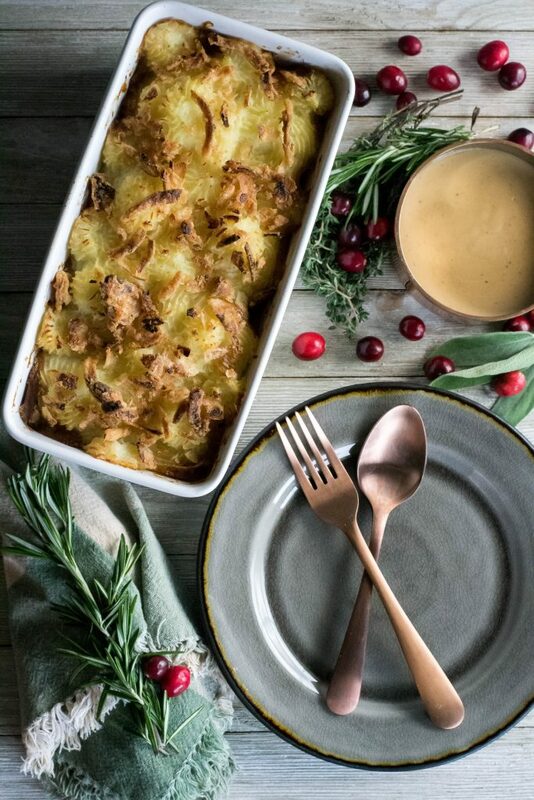 No need to heat all the leftovers separately and then try to find containers to place the leftover, leftovers. If you plan ahead, you can assemble this loaf as you are putting away your turkey day meal, so all you have to do is bake according to the recipe…easy right? Now that you have the leftovers taken care of, you can enjoy quality time with your family. Spray a loaf pan with non-stick cooking spray and set aside. Layer the first four ingredients in the order listed, pressing each layer firmly. Add 1 cup of turkey gravy over ingredients in the loaf pan. Top with mashed potatoes. 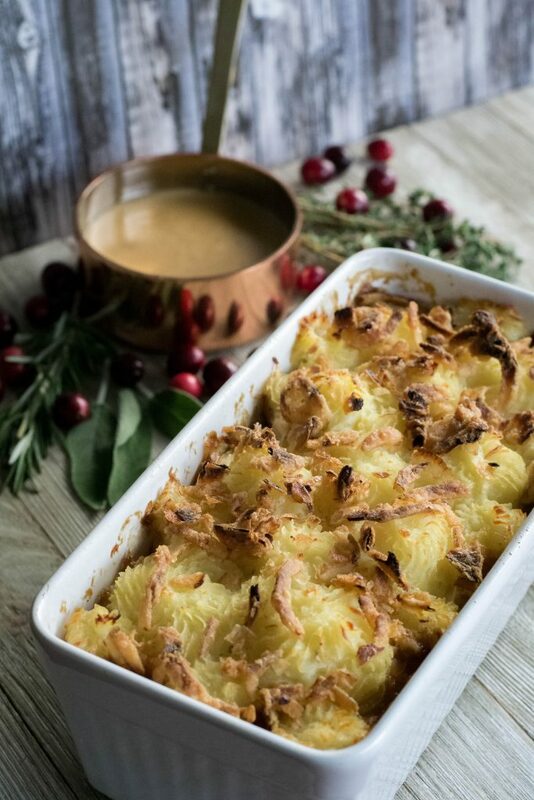 I use a pastry bag with a large tip and decoratively piped the potatoes, but you can spread them over the top. Sprinkle the top of the potatoes with the crispy onions. Bake in preheated oven for 45 minutes to 1 hour until heated through and the potatoes are golden brown. Remove from oven and allow to set for 10 minutes. Heat remaining 1 cup of turkey gravy. To serve sliced loaf and pass the remaining gravy. 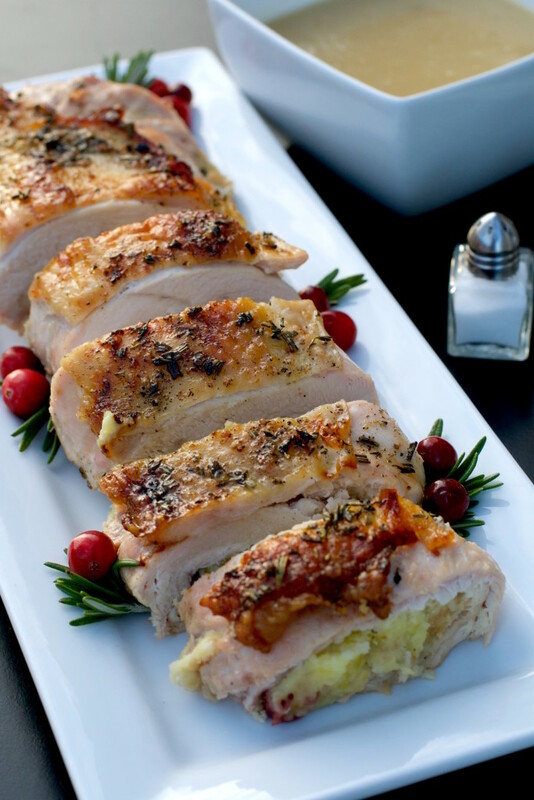 Thanksgiving……..Turkey and all the trimmings…….. all in one beautiful crispy-skinned, juicy, herby, roll. Thanksgiving Turkey Roll. Seriously, this has all the trimmings nestled inside a beautiful juicy turkey breast. 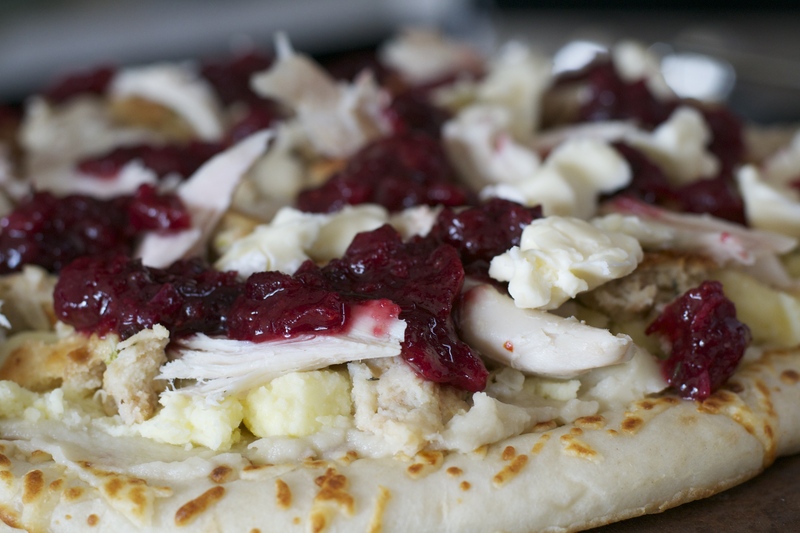 Stuffing, mashed potatoes, and cranberry sauce……….Its a slice of Thanksgiving. 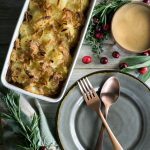 The meal was prefect, you spent the days with family and friends…….everyone is gone, the dishes are done……….what are you going to do with all those leftovers???? 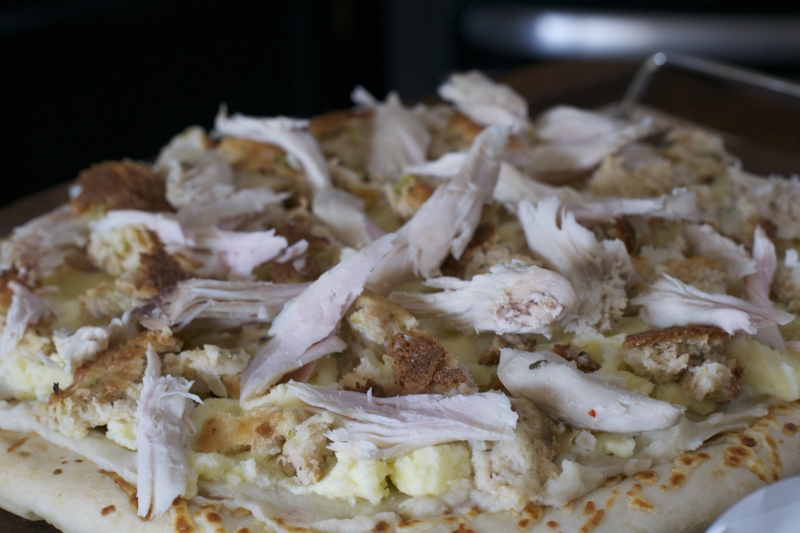 Make a pizza……thats right……a Thanksgiving Pizza! 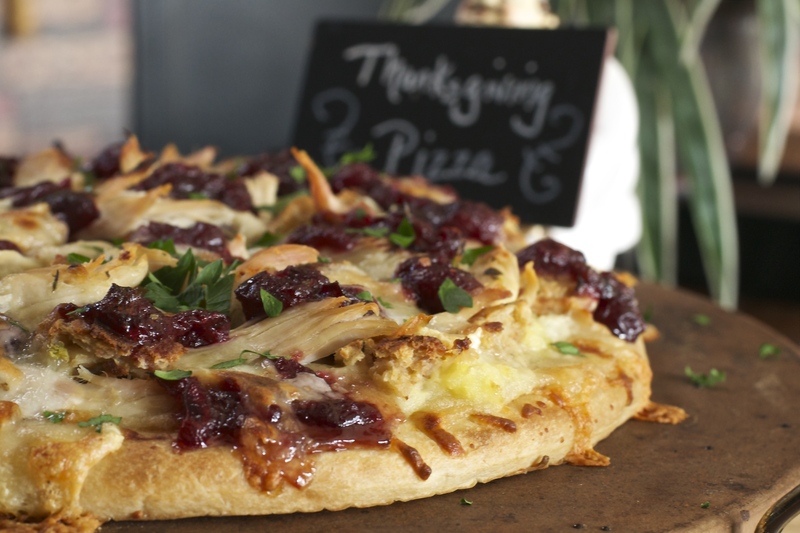 Everything that makes Thanksgiving special, on a pizza…..say what????? No its true! Gravy for the sauce. 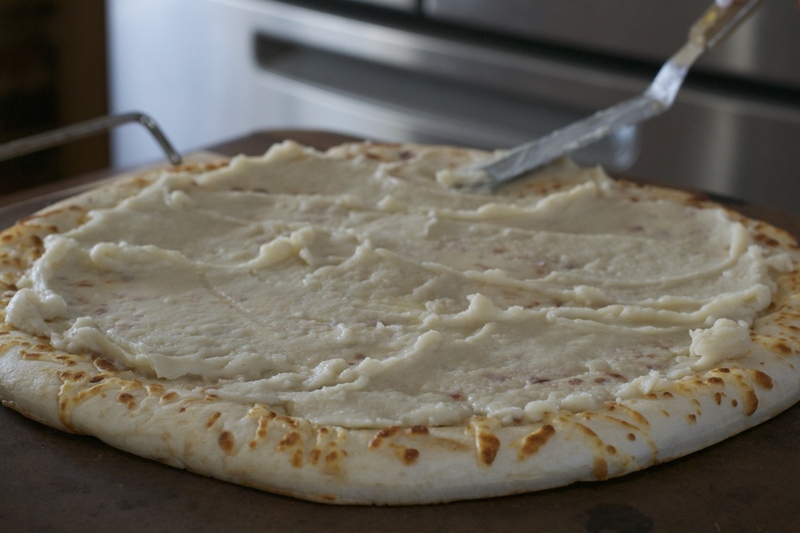 Spread leftover gravy over a purchased or homemade pizza crust. Then top with leftover mashed potatoes. Dressing and Turkey go next. Cranberry sauce….as much or little as you like. 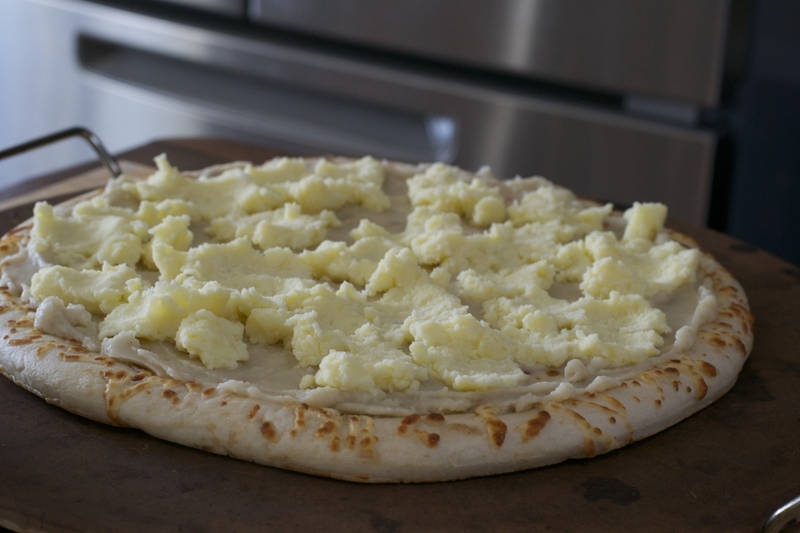 In the oven for 15-20 minutes. 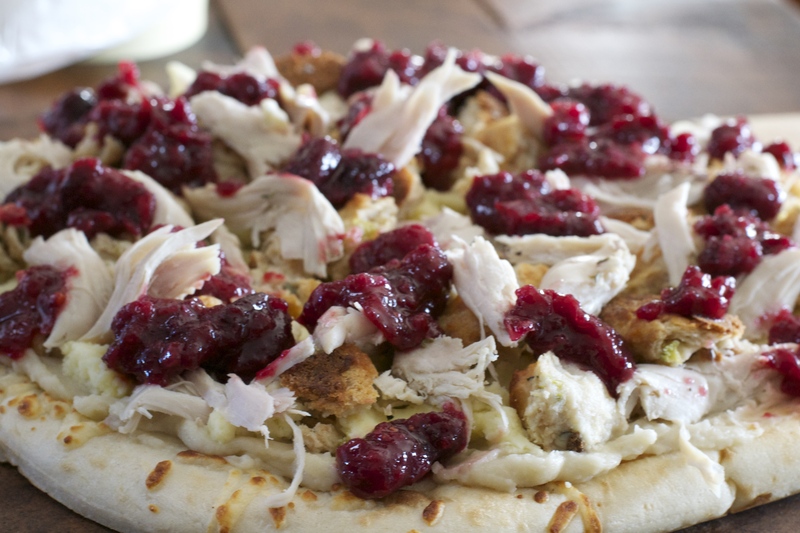 And …….OMG its Thanksgiving……… on a pizza! It was the best thing I have ever done with left overs. You know how when you make some thing, and you take a taste and you are speechless …….this is like that. Tim and I both just kept saying…..omg this is soon good!!! 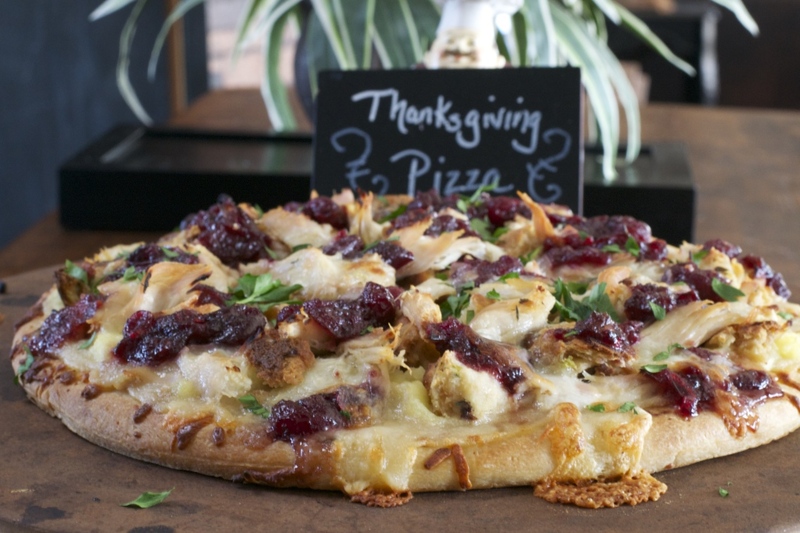 So take all those leftovers, toss them on a pizza crust and prepared to relive Turkey Day again!!!! NOTE: You can add any leftovers you want. If you like sweet potatoes, or have leftover veggies…….just toss on what you like best. Married Bloggers who hopefully entertain, teach, give you mouth watering pictures and recipes......... We ♥ Food! !